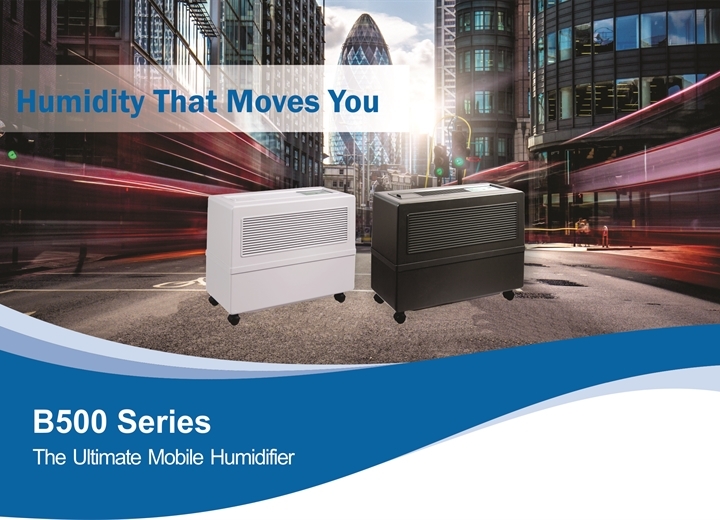 Condair’s latest evaporative humidifier, the B500 brings together mobility and functionality in one professional and stylish unit. Not only does the B500 create an ideal indoor climate but it is the professional choice for regulating precious materials and art work. Professional, stylish, and on the go! Condair's latest evaporative humidifier, the B500 brings together mobility and functionality in one professional and stylish unit. Older building and storage areas don’t always have proper supply ventilation for duct humidification. For this Condair is proud to offer a new and convenient solution - the portable B500 professional humidifier. The B500 humidifier operates based on the natural principle of evaporation. A water pump continuously delivers water from the water tank to the oval water channel. The water seeps through the drainage holes inside the channel and moisturizes the evaporation filter. A fan inside the humidifier suctions the air in. The air flows through the evaporator filter and is cleaned and humidified at the same time. Then the humidified air is supplied through the air outlet opening on the top and back into the room. With a special bio filter and UV light for local water treatment, the B500 takes evaporative humidification cleanliness to a whole new level. An optional, charcoal filter for further air cleaning is available. Reliability is ensured by the infrared remote control. No unauthorized person can tamper with your humidifier. On top of that, the self-diagnosis of the system lets you know when the filter needs to be changed or when water levels are too low. Every B500 units comes with a wireless humidity sensor and a remote controller for easy worry free flexibility. The wireless humidity sensor can be placed anywhere in the humidified space and sends signals back to the main unit to regulate the humidity level. The remote gives you control of the fan speed and programmed pre-set modes on the humidifier. 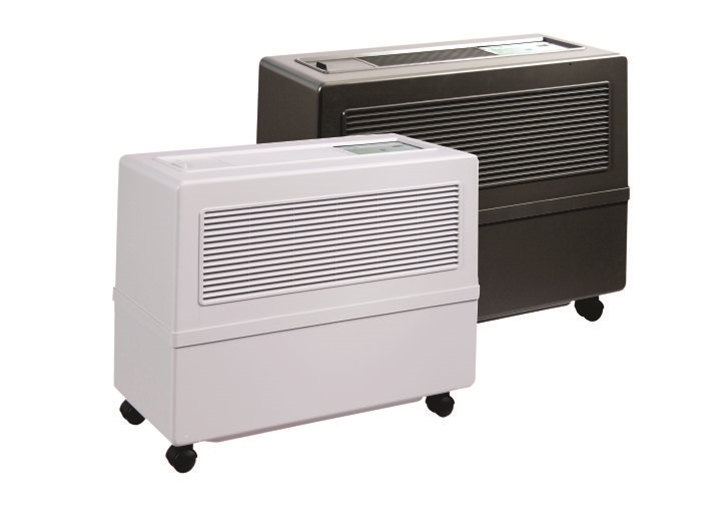 Perfect for achieving optimal humidity levels in large spaces of up to 1,250 square feet. Ideal for material storage and preservation in a variety of applications including galleries and museums. Mobile - Extremely portable unit for easy mobility into any room. Ease of Use - Complete with a remote and wireless hygrometer. Simplified Maintenance - Self diagnosis of the system advises when the filter needs replacement or water levels are too low. Contact our humidification experts today to learn more about the B500 humidifier.